We are a welcoming and friendly church community. Children and adults of all ages are part of our church family. We would love you to join us for worship on Sunday morning at 10am followed by morning tea in Belmont Hall. 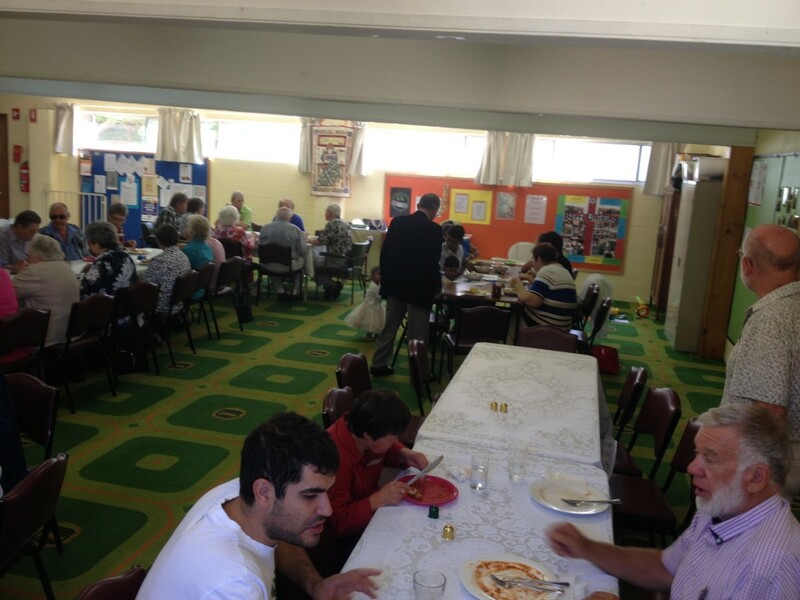 On the third Sunday of the month lunch is provided with lots of fellowship, laughter and fun. We are committed to the ministry with children and families as our key strategy to engaging with the community. Jacob’s Kitchen commenced in 2000 as a fundraiser and currently provides lunch generally on the third Sunday in the month. After some time it was realised that the true focus of Jacob’s Kitchen is fellowship and a chance for ministry of various kinds towards our people. Extra funds after expenses are taken out are used for various church projects and assisting those in the community who require help with their budgets. We are available for catering for a variety of events for both church and others who wish to hire us eg wedding, funerals etc. 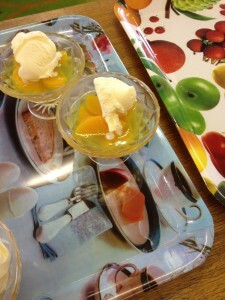 One of our church members also supplies a wonderful selection of fresh fruit and vegetables. Provides a varied programme on 2nd Wednesday each month at 2.00 p.m. in Belmont Hall. Contact Nan Tongue 8582 3516 for details. Refresh and Bloom is a craft, quilting, friendship group and community outreach open to all. We meet every Wednesday, 9:30-3pm in Belmont Hall with a gold coin donation to cover on-tap tea and coffee as well as morning tea, (bring your own lunch). The second Wednesday of the month we either have a shared lunch or go out for lunch. We have an annual project to support a charity which changes each year although members are free to support whoever they like. In the past we have supported interstate victims of natural disasters, Mary Potter Hospice, the Riverland Women’s Shelter and for 2016 we plan to support local children in alternative care. We have received a Council grant to provide supplies for our charity quilts for 2016. 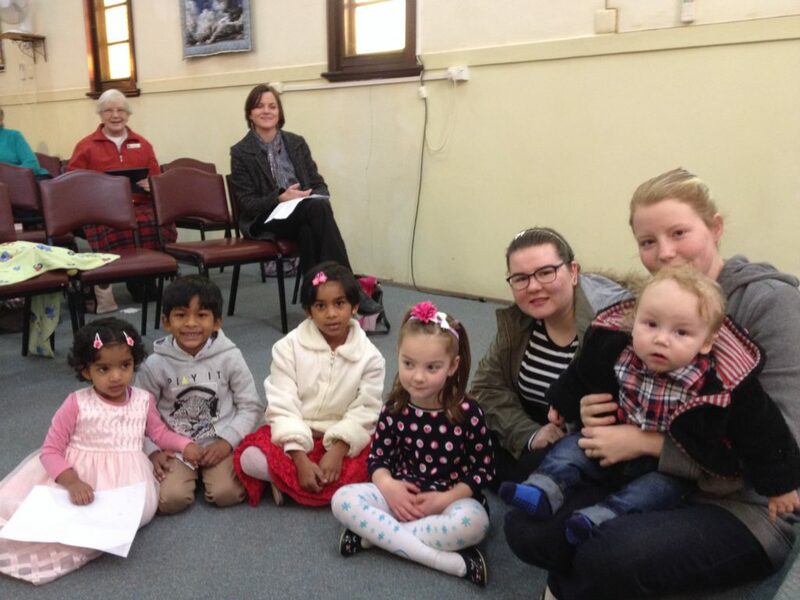 Once a school term we hold an ‘All Age’ Worship service with a specific focus on the kids in our church. During these services we include things such as activities, puppet plays, cooking, videos and lots of music and song.